This gives the impression that it would detect a malicious program even before running the installer. 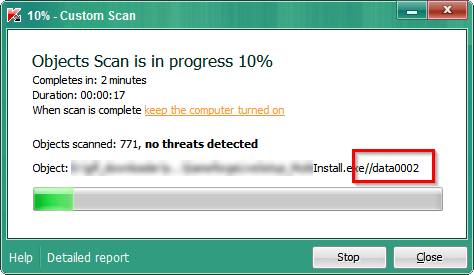 Can I rely on the anti-virus software detecting a malicious program within an installer when scanning just the installer? Even if the installer is password protected and encrypted? Or do I need to scan the installed files as well? Note: I know that it is dangerous to run an installer from an untrusted source. In my special scenario, the installer itself is created by a trusted source but the contents are not necessarily trusted. Here's something important: in an information security field, a "trusted source" is not only a source which, as you believe, won't cause you any harm intentionally. It's also a source which won't cause you harm occasionally due to ignorance or carelessness. "A source which can provide an installer with untrusted contents" sounds like a definition of an untrusted source. Even if it's, say, your father or sister, you still need to assess the information security threats based on how much do they know about information security, not only on how much do you trust your close relatives in general. If your close relative has just downloaded an installer somewhere and then sent it to you, it still doesn't come from a trusted source in any sense. So it's still better to avoid running it. Depends on the scanning capabilities of your antivirus (/antimalware) program. If it merely looks at snippets within the executable to match against known signatures; then probably now. Assuming that "signatures" won't be seen when compressed / encoded / encrypted. If your antimalware program looks at behavioral characteristics, and most decent ones do, it will most likely see what happens when this installer is executed. Plus, several installers are known and well documented file formats and antimalware products know how to analyze its contents. A decent anti malware program however will also look at behavioral characteristics. If files are extracted to disk, they will be scanned when written or executed. Bottom line, it's relatively easy to bring malware onto a machine. But decoding / deploying and executing it would be the challenge. The most ideal case is signing your binaries - so you know that they haven't been tampered with and re-packaged in an installer program like InnoSetup. Not the answer you're looking for? Browse other questions tagged antivirus install or ask your own question. Is anti virus software supposed to clean up registry entries made by malware? Is an Antivirus scan via network share equivalent to an offline scan of the system? Does AV Search Machine Code or Source? Chicken-and-egg-problem: What's the intended secure way of installing anti-virus software with online installers?